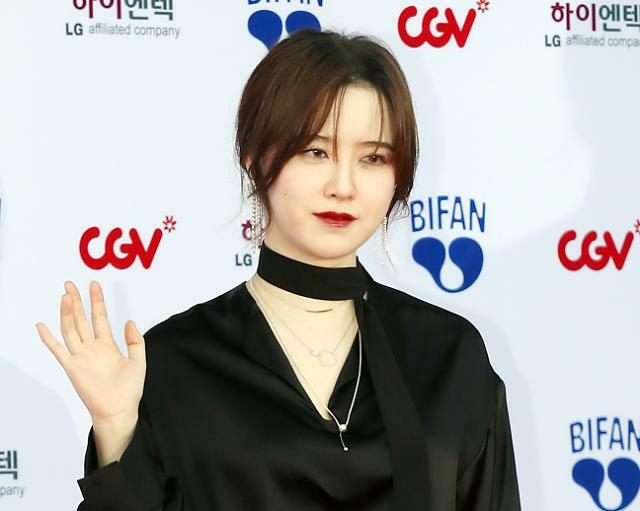 SEOUL -- South Korean actress film director Goo Hye-sun confessed in a flat tone that she has gained 10 kilograms because she ate too much, putting an end to an online debate over whether she was pregnant or her face remained swollen after a plastic surgery. The confession came after pictures showing Goo at a red carpet event for the "2018 Bucheon International Fantastic Film Festival" were released Thursday, triggering speculation. "Maybe she's ill. She looks very different from what she looked like a few years ago," wrote Alex, a user from South Korean web portal Daum. Goo, who began her acting career in 2002, uploaded an Instagram post saying: "I gained 10 kg because I ate too much." The post garnered more than 26,000 likes and thousands of supporting comments. She tied a knot with actor Ahn Jae-hyun in May 2016.